Bloomsbury Publishing PLC, 9781608197644, 256pp. Honest, hopeful, hilarious the smartest, most knowing account of a woman and the calamities of midlife since Nora Ephron's wryly humorous "Heartburn." During the four years of physician Margaret Overton's acrimonious divorce, she dated widely and indiscriminately, determined to find her soul mate and live happily ever after. But then she discovered she had a brain aneurysm. She discovered it at a particularly awkward moment on a date with one of many Mr. Wrongs. 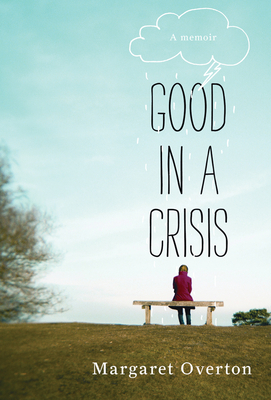 "Good in a Crisis" is Overton's laugh-out-loud funny story of dealing with the most serious of life's problems: loss of life, loss of love, loss of innocence. It's about spirituality, self-delusion, even sheer stupidity. It's written from a physician's perspective, but it's not about medicine, per se; it's about coming of age in adulthood, an effort to help others through the awful events that can cluster in midlife. She does this with laughter and the recognition that you may come out the other end, as Overton did, definitely humbled... and only slightly smarter. Margaret Overton is an anesthesiologist with an MFA in writing from the School of the Art Institute of Chicago. Her work has appeared in the "Chicago Tribune Sunday Magazine" and "Creative Nonfiction." She lives in Chicago, and "Good in a Crisis" is her first book.